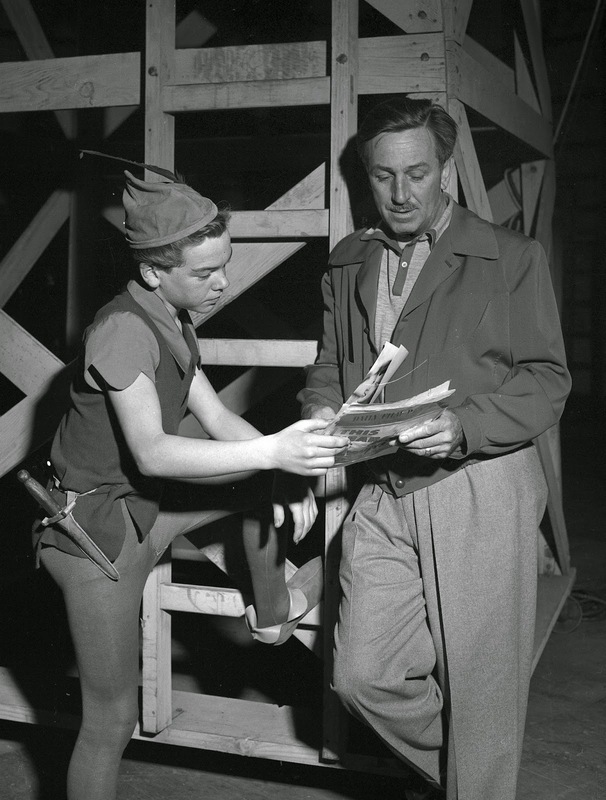 Nice publicity photo of Walt Disney and young actor Bobby Driscoll on the stage set, where live action footage was filmed to aid the animators in their work. 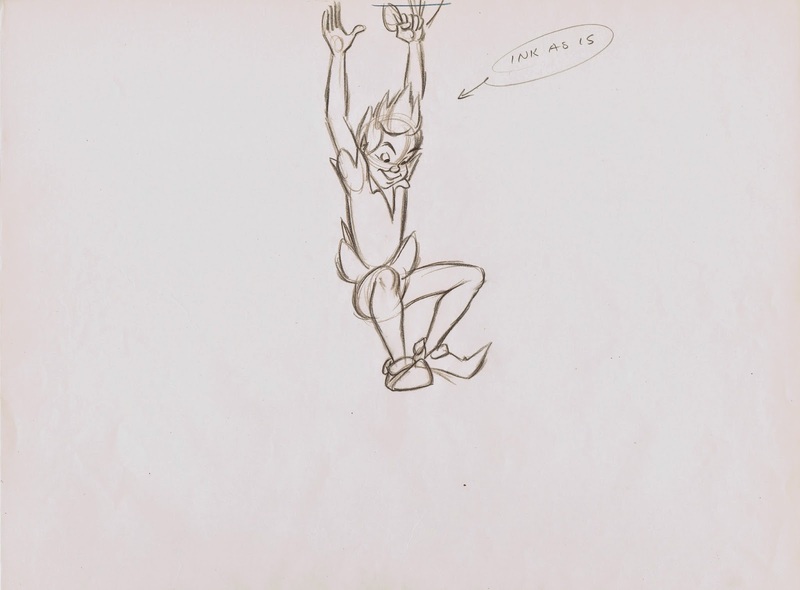 Milt Kahl was the supervising animator for Peter, and he generally ignored the live action reference when animating the character. He felt strongly that an animator, who is worth anything in the industry, should know how things (humans and animals) move. 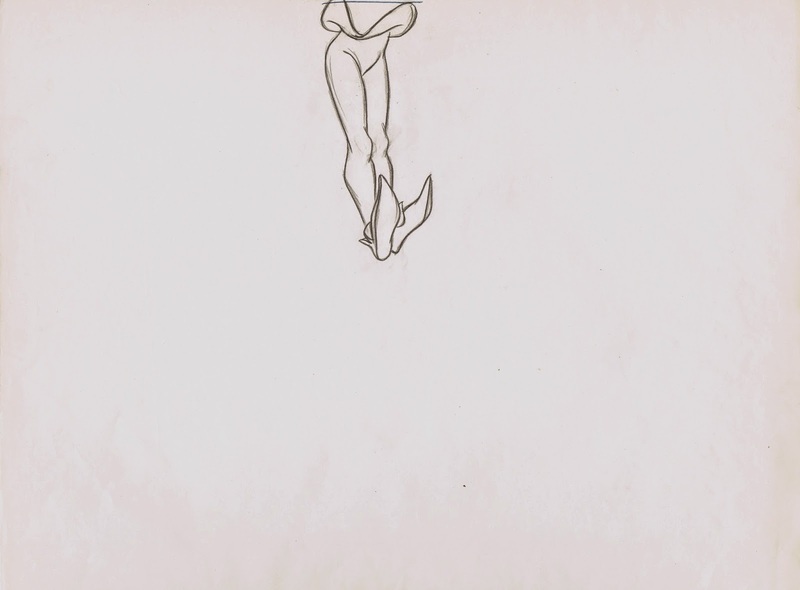 I can detect a handful of Milt's scenes where he based his animation somewhat on Bobby Driscoll's live performance. 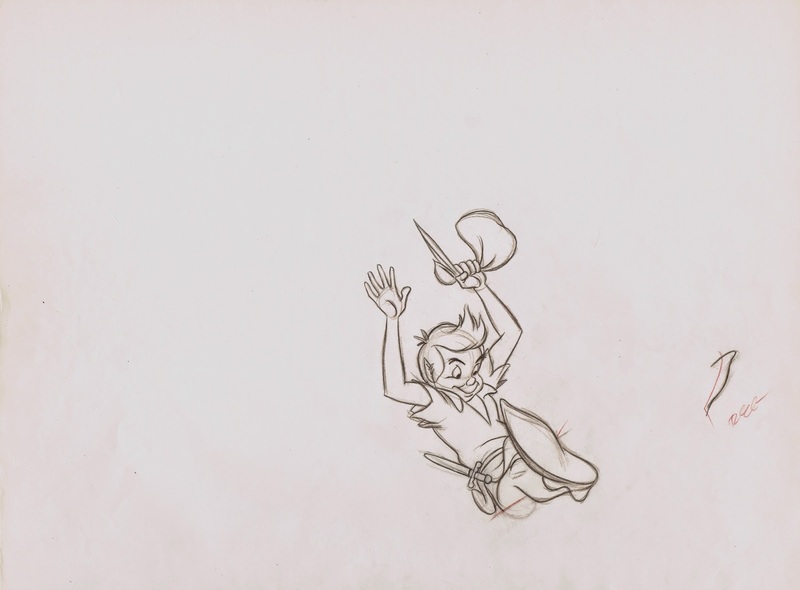 When Peter Pan angrily confronts the Lost Boys for shooting down Wendy out of the sky, his acting is emotional and graphically clear. 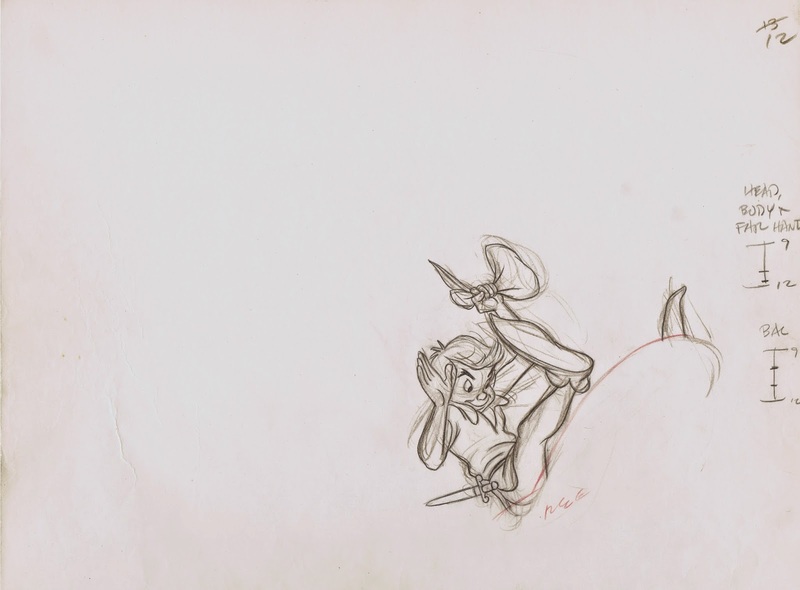 Those scenes still show traces of a live actor's motions, but they don't stick out compared to the animation that came from Milt's imagination. The drawings below are from one of those scenes. Inside Scull Rock Peter Pan slides down a boulder, positioning himself before impersonating Captain Hook. These few keys demonstrate basic animation principles in a way that live action probably wouldn't. As Pan moves downward, his arms and feet point upward to counter the action. When he arrives at the the low point, the arms come down, and his legs swing upward because of the motion's momentum. A cartoony piece of animation, thoroughly analyzed and realistically drawn with ultimate appeal. Drawings like these are extremely useful to everyone who studies anatomy in motion.